Sant’Agata is Catania’s patron saint and is celebrated every year with one of the largest religious processions in Italy between the 3rd and the 5th of February. She became a martyr when she refused the advances of Roman proconsul Quintian who sent her to the stake on the 5th of February 251AD. Because one of the tortures Saint Agata supposedly suffered was to have her breasts cut off, she was often depicted carrying her breasts on a plate. 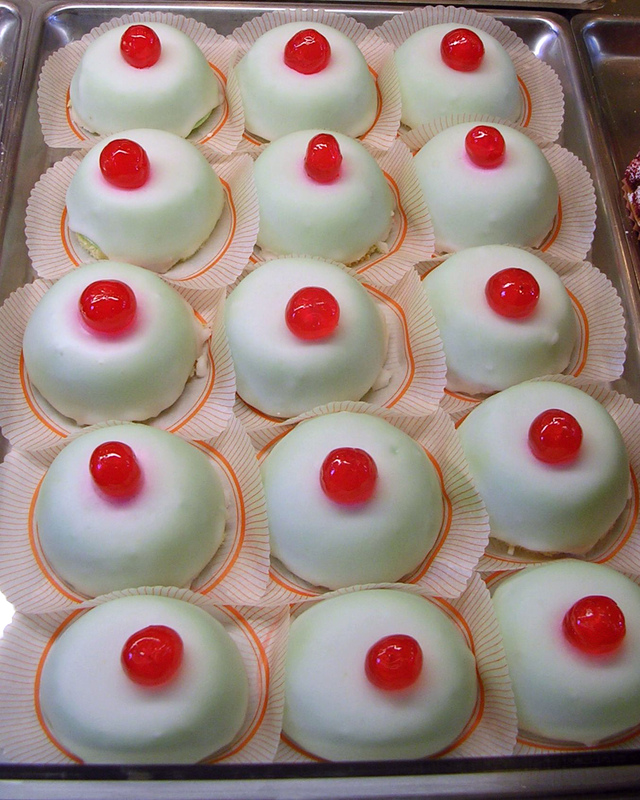 This episode of her life is also symbolized in pastries shaped like breasts called Minni di Sant Aita (Saint Agatha’s breasts). 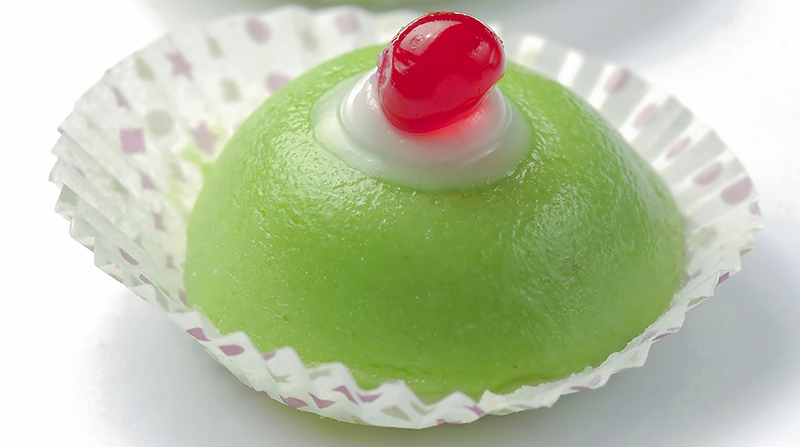 These are small round pastries with a white icing and a candied cherry on top. 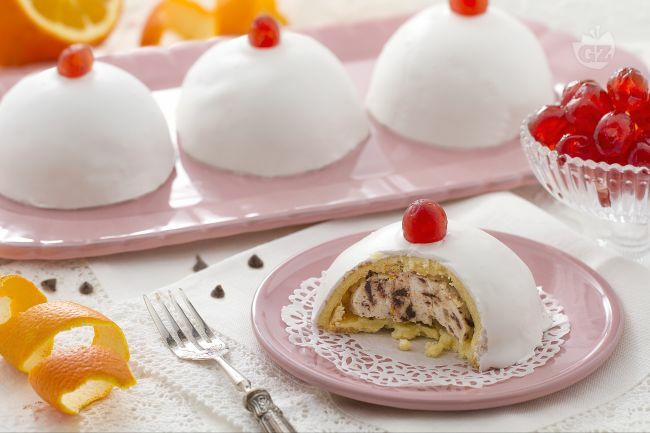 According to expert Reginaldo Grasso, there are two versions of them: both have an outer layer of short pastry but one is filled with pastry cream, covered in pink icing and topped with a candied cherry, while the other is filled with sweet ricotta cheese and has a white icing and a bit of chocolate on the top. Mix the flower and cold butter in a food processor, then place onto a board dusted with some flower. Add the egg yolks (keep the whites aside for the icing), the seeds of a vanilla pod (or 1 teaspoon of vanilla extract) and knead lightly just to mix all the ingredients and obtain a homogeneous dough. Wrap the dough in plastic wrap and let it rest in the refrigerator for at least half an hour. Proceed with the preparation of the filling: chop the orange peel into small cubes. Sift the ricotta, passing through a sieve and add the icing sugar, orange zest, the candied orange cubes and the chocolate chips. Mix everything together to get a homogeneous mixture. Take the pastry out of the fridge and roll it out into a sheet approximately 1/2 cm high. Then cut them in circles with an 8-9 cm diameter and line some spherical molds with it, then fill them with about 80 gr of the ricotta cheese mixture and seal them with another circle of pastry pressing the edges down. Then bake them in a preheated static oven at 200 C° for 20 minutes (or in a convection oven 180 ° for 15 minutes). 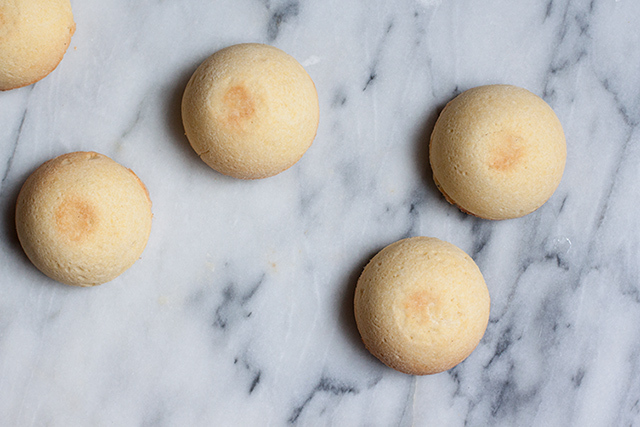 When the Minne di Sant Agata will be golden-brown on top, take them out of the oven and leave to cool in the molds. 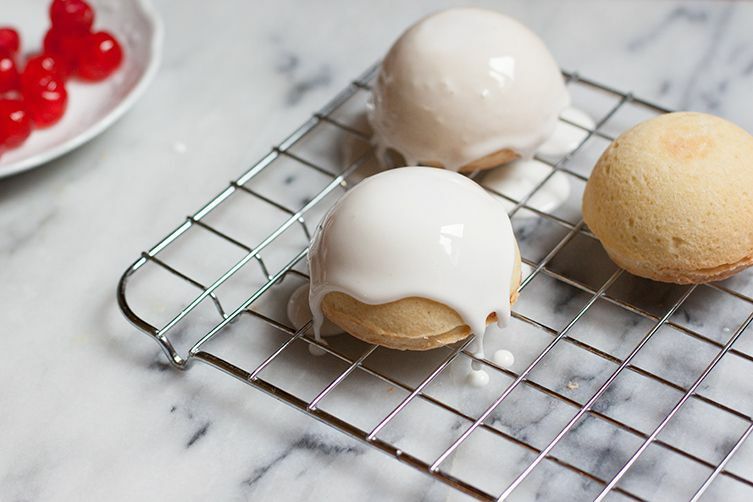 Unmold them when they have cooled down. Place them on a wire rack and in the meanwhile prepare the glazing. In the bowl of your electric mixer (or with a hand mixer), beat the egg whites with the lemon juice. Add the sifted powdered sugar and beat on low speed until smooth. The consistency of the icing should not be too thick and stiff, but more like the consistency of thick batter. 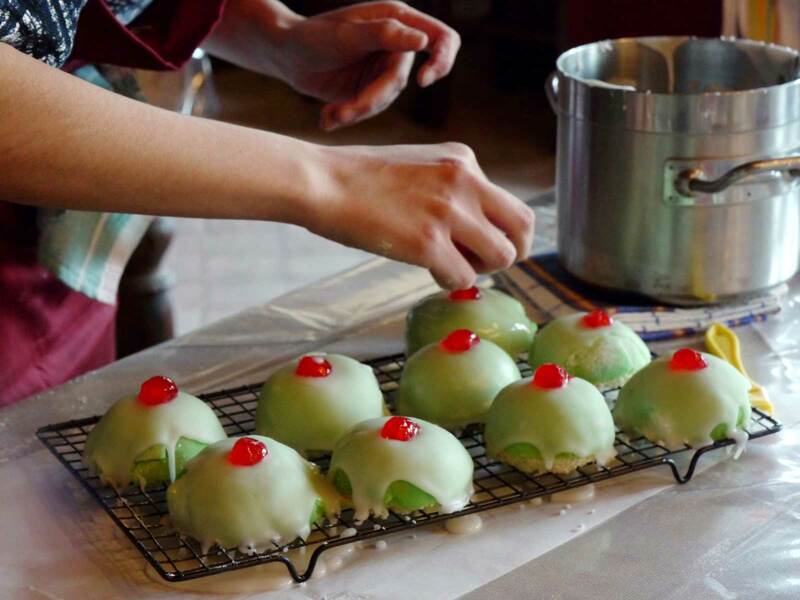 Cover the “minne” with the icing, pouring it evenly over the cakes, then finish the decoration with a candied cherry placed on top of each little cake. Let them dry on the rack so that the excess glazing can drip off. 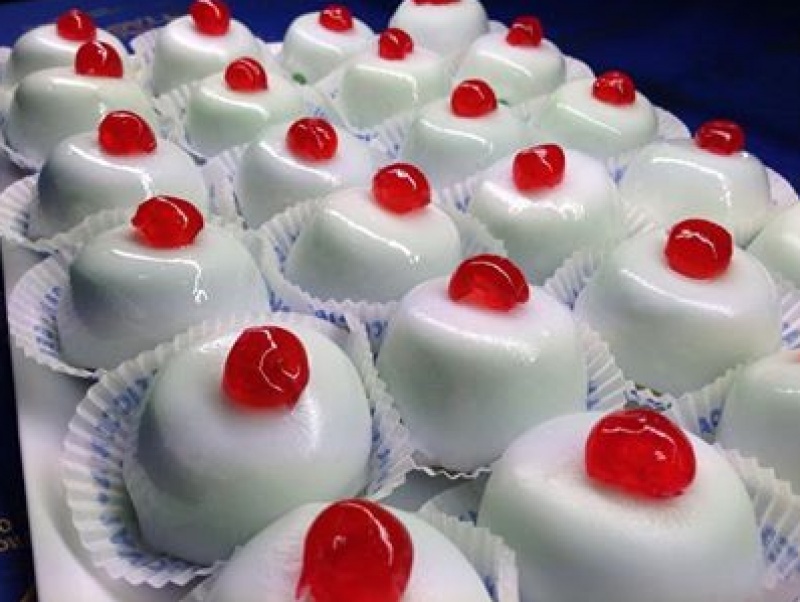 The minne of Sant’Agata are ready: they can be eaten when the icing is still soft or after you have let them dry completely.